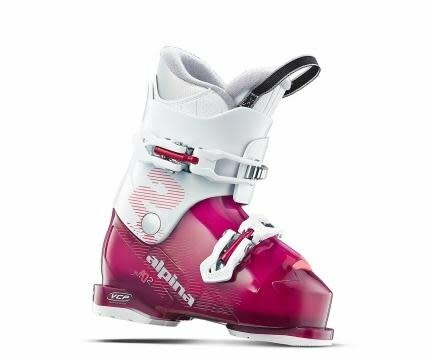 Alpina AJ2 Ski Boot is for the beginning skier who wants to learn all parts of the mountain. This durable, comfortable ski boot is sure to last her many seasons to come. The AJ2 offers an anatomic footbed, volume control plate, junior comfort lining, nylon adjustable buckles and more. Your little skier is sure to ski confidently in the Alpina AJ2 Ski Boots.